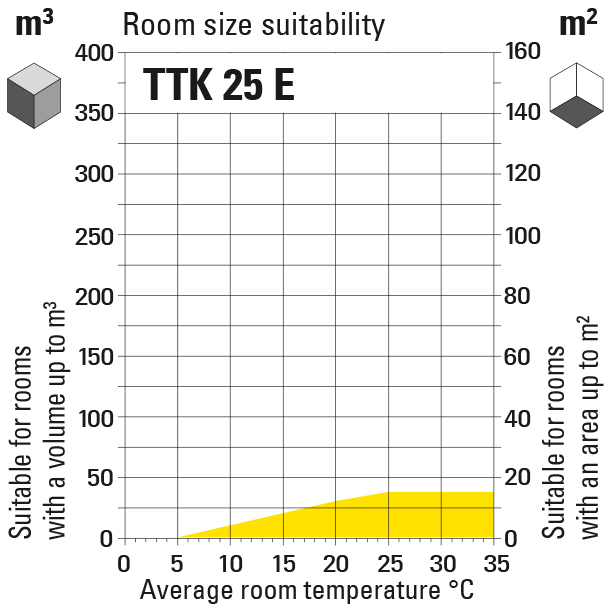 Small cube – big dice: The TTK 25 E has got what it takes to be a design classic and can score with a considerable dehumidification performance in small rooms. This handsome dehumidifier is a real eye-catcher, that has no reason to hide, but can: Because its especially compact dimensions enable a space-saving setup even in narrow corners and alcoves. At the same time the TTK 25 E can also be used where a regular manual draining of the water tank is not always possible, e.g. during unattended permanent drying applications in heated hobby rooms. For this purpose, a separate connection is integrated in the TTK 25 E via which the condensate can be discharged directly into a drain using a hose. The TTK 25 E moreover comes with all comfort functions to be expected from a dehumidifier of this class, e.g. an electronic automatic defrosting, a filling level warning lamp to indicate a full water tank or overflow protection with automatic switch-off function.